RT GSync is an award winning plugin proposed as an ultimate data syncing solution between Sugar and Google services. Within the domain of Google services, RT GSync caters to Google Calendar, Google Contacts, Google Emails (Gmail), Google Drive (GDrive), offering two-way and priority based data synchronization. It also works great with SuiteCRM. RT GSync was selected as the SugarCRM App of the Month for being an innovative solution to a complex business problem. Most Gmail integrations reside on the browser side. RT GSync is a tightly integrated Sugar solution that requires only a single installation. Once installed, your users can take advantage of it from any browser, right away. This promotes CRM adoption and saves an enormous amount of time. Items get created automatically no matter what your users are used to use. RT GSync gives you the liberty to use what is best for you. No browser plugin required, making it easy to both install and use. You love using Gmail? But your contacts are constantly being added to Sugar? This tool can bring your contacts over so that you can easily email them or invite them to Google Calendar events. What Are the Rest of the Features? Automatic Email archiving for all the incoming and outgoing emails even if users send and receive emails from Gmail. If you send and receive emails from Gmail then automatically the emails are archived with the associated records in Sugar. NOTE: Works with any Google Apps enabled domain or even if you only have a Gmail account and not Google Apps. 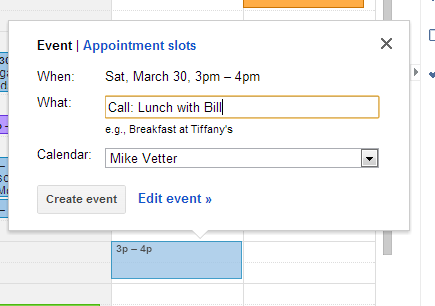 If users create a Calendar items in Sugar it will appear in their Google Calendar. If users create a Calendar item in their Google Calendar it will appear in their Sugar instance. Similarly if a Calendar item is deleted in Sugar it will get deleted from Google Calendar. If a user creates a Contact in Sugar it will appear in Gmail and if a user creates a contact in Gmail it will appear in Sugar. Similarly if you delete a contact from Sugar it will be deleted from Gmail and vice versa. If a user creates a Google doc it will appear in Sugar documents module. Similarly if a user creates a document in Sugar it will appear in the associated GDrive. What are you waiting for? Save your time and effort and start RT GSync trial today! Click on the View Pricing button below and get started. Ciick on the following links to have a quick look at RT GSync User Guides and installation Guides . You can download the RT GSync User Guides and installation Guides by opening the following links and then clicking on the download button. Click here to see the version history of RT GSync Plugin. Click here to see the Frequently asked questions of of RT GSync Plugin. "Very good support, Gmail and Google Sync is working flawlessly - thumbs UP!"